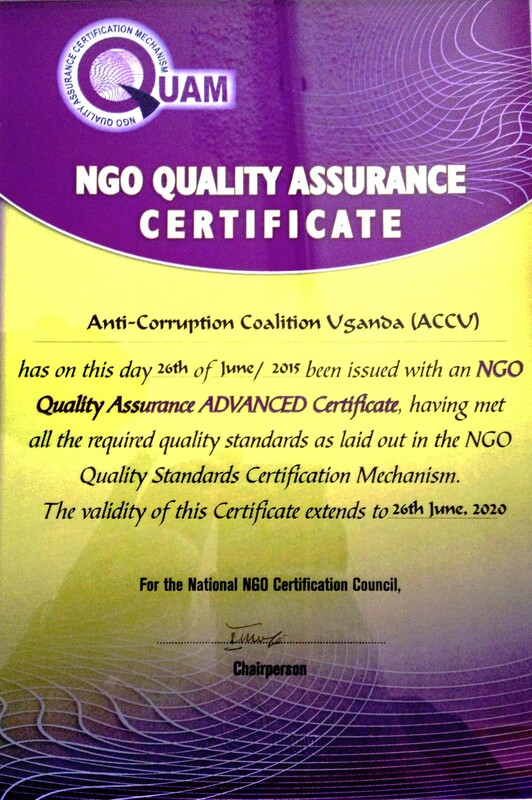 Anti Corruption Coalition Uganda (ACCU) was on 26th June 2015 issued with an NGO Quality Assurance Advanced Certificate by The National NGO Certification Council valid till 26th June 2020. This was having met all the required quality standards as laid out in the NGO Quality Standards Certification Mechanism. 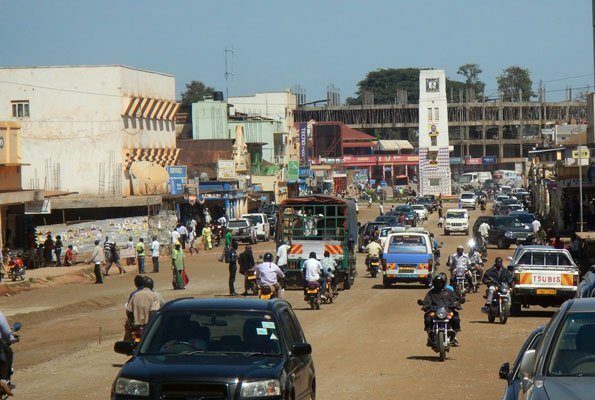 Non Governmental Organizations (NGOs) working in Uganda launched a self-regulating instrument, the NGO Quality Assurance Mechanism (QuAm) in September 2006. 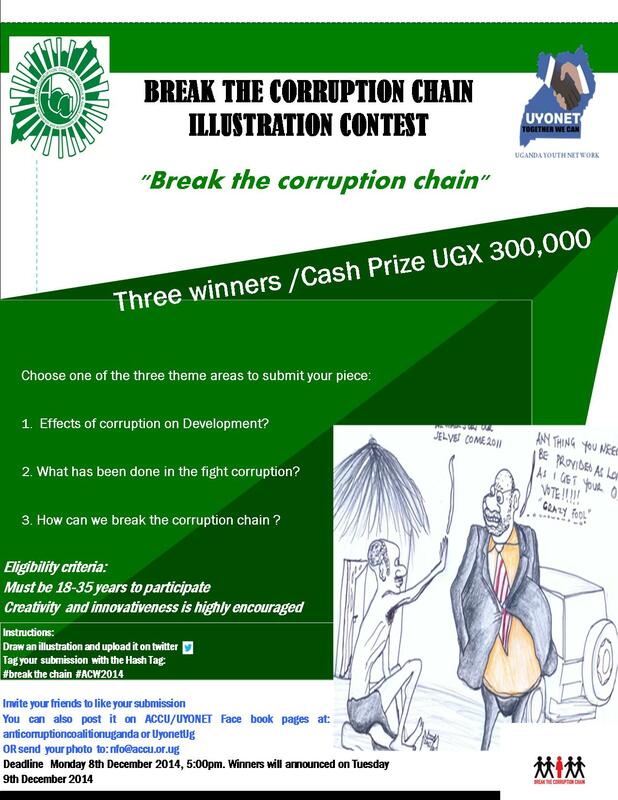 This was designed to promote adherence by Civil Society Organizations to generally acceptable ethical standards and operational norms. ACCU has therefore attained the highest level of certification. 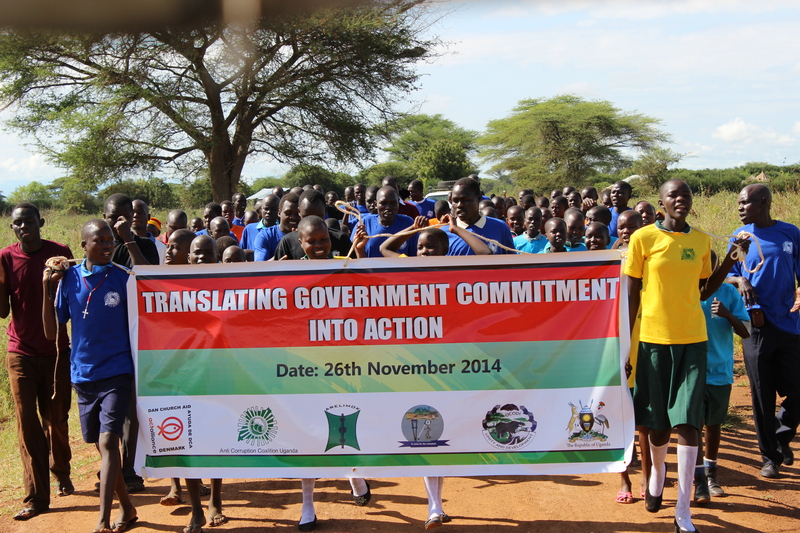 We are commited to pursuing ethical standards in all our interventions.